Let’s face it — you’re probably no stranger to caffeine’s magical powers. It helps you wake up, get through your workday and, well, function. That’s why the U.S. Food and Drug Administration reports that 90 percent of people worldwide consume caffeine in one form or another. And in the United States, 80 percent of adults eat or drink caffeinated products every day. But if you’re a woman, your beloved daily cup of Starbucks can also be bad news for your breasts. According to a Duke University study, as reported by Yahoo Beauty, caffeine causes blood vessels to dilate, which in turn can make your breasts swollen and painful — like you’re experiencing PMS, only you’re not. Imagine getting the delightful gift of PMS every single day! Not fun. However, this same study showed that 61 percent of women with breast pain who cut out caffeine had reduced pain. 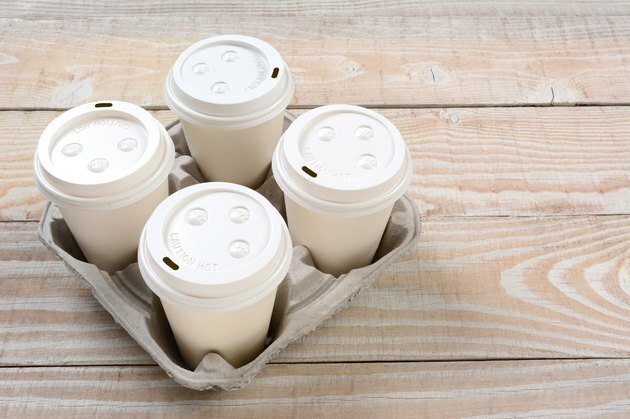 Now that you know that caffeine can mean trouble for your tatas, here are some more things to consider. A study conducted by the University of Oregon states that coffee consumption was strongly related to the severity of PMS symptoms. This study concluded that the greater the amount of coffee you drink, the worse your PMS symptoms will be. The reason is because caffeine causes anxiety, anxiety causes stress, and stress can make your PMS symptoms more intense – according womenshealth.gov. Womenshealth.gov reports that PMS symptoms, including breast tenderness or pain, can occur 1 to 2 weeks before your period starts – from ovulation until the beginning of your menstrual cycle. Add your daily cups of coffee to that, and you’re playing with fire. So, if you wish to alleviate your PMS symptoms, like breast soreness – during actual PMS, womenshealth.gov suggests caffeine avoidance as one of the lifestyle changes to make. This includes trying your hardest to ignore those PMS-driven chocolate cravings – because chocolate also contains caffeine. Good luck with that. Fibrocystic breasts are made up of tissue that feels lumpy or rope-like. More than half of women experience fibrocystic breast changes – a benign condition that causes breast lumps – at one time or another. These lumps are perfectly normal – except they may cause slight breast pain or tenderness. Where does caffeine fit into this? Well, the University of Iowa Health Care reports that some studies have shown that caffeine may worsen the tenderness and pain that is associated with having fibrocystic breasts. Chocolate gets a bad rep too. Some women may find that chocolate can worsen the pain. It’s important to note that neither caffeine nor chocolate actually cause fibrocystic problems. The Breast and Cervical Cancer Control Program reports that excessive consumption of caffeine can obscure mammogram readability. The reason? Because it causes cysts that can resemble cancerous lesions or even hide them. Caffeine can also increase breast sensitivity and make the experience of getting a mammogram even more uncomfortable than it should be. 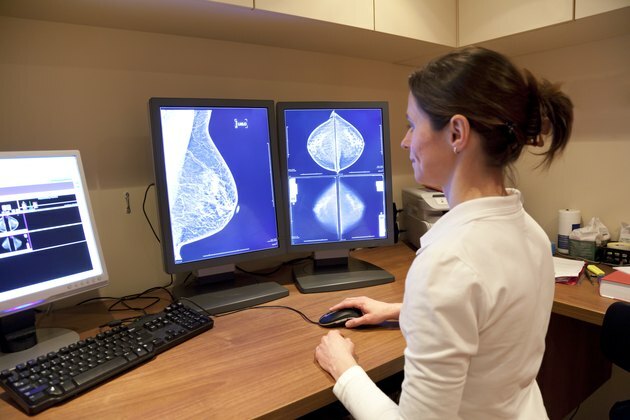 So if your breasts are sensitive to caffeine, you might want to reduce your intake if you are scheduled for an upcoming mammogram. But if your breasts are sensitive to caffeine, you may want to eliminate it completely and save yourself the soreness. The California Pacific Medical Center suggests quitting caffeine for three to four months and see if the pain improves. But if you can’t imagine a caffeine-free existence, simply reducing your caffeine intake to 150 milligrams, which is about one 12-ounce cup of coffee, or less a day may help. Chai tea latte, anyone? Read more: Should You Cut Dairy From Your Diet? Have you had any of the experiences listed in this article? Do you ever have breast soreness when you drink a lot of caffeine? How much caffeine do you drink per day? Would you be able to cut down or cut it out completely? Let us know in the comments below! How Many Milligrams of Caffeine Are in a Cup of Coffee?